I know I am not the only woman out there who dreads the dressing room. Walking into those strangely lit, mirrored caverns of consumerism will probably always illicit an unpleasant initial response in me. 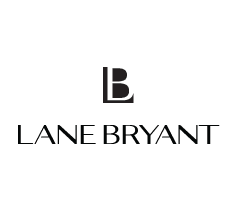 In December I shared that I had to fire Lane Bryant. Let me tell you, I do not have any hate for the store! I very much appreciated their provision of style in larger sizes and their comfortable, supportive, yet pretty bras. But in December I got an email from them and realized that they no longer carried my size, because at that point I had lost 20-something pounds. So I unsubscribed, and it was an amazing feeling! My sweet hubby brought me home some jeans from Plato's Closet and saved the day! With two littles I rarely make it into a dressing room these days. Easy on the wallet ... but when you've lost this much weight it starts to become a bit of a problem! So last weekend we went on a "super secret adventure" that included going to a store I had not been shopped in over a decade because they didn't carry my size. And I got underthings that fit. Who knew you could end up with britches to big rather than being too big for your britches? And I stood in front of that mirror and I laughed. I laughed because I wasn't picking apart my flaws or frowning at how carrying children had changed my body ... I laughed because I LIKED WHAT I SAW. For whatever reason we don't have a full-length mirror and I had not seen my entire self since losing about 15% of my body weight. God made us beautifully and getting comfortable in my own skin ... truly comfortable not just settling in and pretending I don't mind feeling stuffed into my own skin ... was joyful. I feel like something snapped there in that fluorescent lighting ... something that had been holding me back from being fully me. From letting the weight of my own extra weight interfere with just living. For me, the portion fix clean eating, Shakeology nutrition, and 21 Day Fix followed by Hammer & Chisel is what is working. Letting myself be vulnerable and accountable keeps me going. Helping others as a coach keeps me going. I'm in this for the long haul. If you want to talk about your goals and you think this is something that could help you please send me an email. I've probably been where you are and I would love to help you with your health goals! My goal to wear shorts this summer is fast approaching! I need to start looking! Are you reading to go shopping for summer?